Scotland is the proudest of all the nations which make up the present-day United Kingdom, and the independent Scottish spirit is forged from the years of border-struggle between the Scots and the English. There are some incredible castles in Scotland, and the castle in Edinburgh is, of course, the most recognisable. 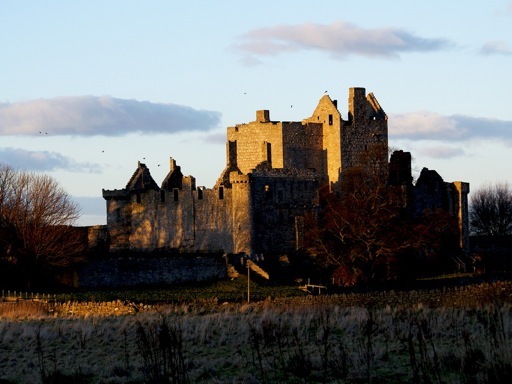 As well as world-famous Edinburgh Castle, other notable Scottish castles include Craigmillar Castle, once a proud family home on the outskirts of Edinburgh, to Duart Castle, an isolated stone sentinel on the Isle of Mull. Visitors are often fascinated too by the mighty Caerlaverock Castle – an unusual, triangular beast designed to protect Scottish borders from the English invaders. Eilean Donan is undoubtedly one of Scotland’s most recognisable castles. Credit: A_Poll_o, CC-SA-2.0. Edinburgh Castle is undoubtedly the most iconic of all castles in Scotland – and it’s visible from pretty much any spot in Scotland’s capital city. It’s said that the history of the castle is intertwined with the history of Scotland itself – and exploring this fortress is a great way to get a feel for the forces that have formed the country today. Sieges, squabbles and the Scottish regalia (those are the crown jewels) all play a role in this very special spot. 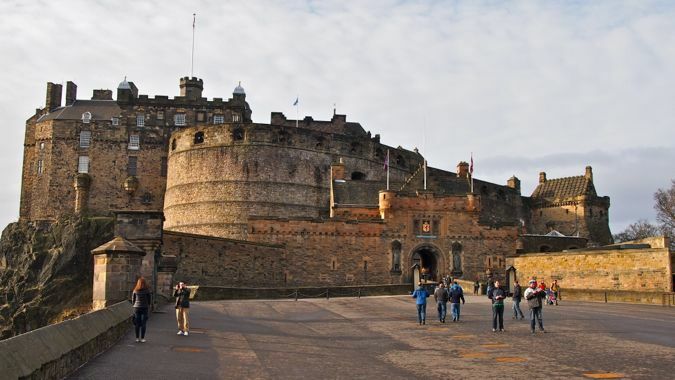 Uncover the history of Edinburgh Castle. . . The cliff-top setting of Dunnottar Castle is spectacular, to say the very least. Battered by the choppy North Sea, this awe-inspiring castle has played a surprisingly important role in Scottish history. The castle has guarded the Scottish crown jewels, and was besieged by William Wallace’s troops. Discover Dunnottar Castle. . . Romantic Eilean Donan could well be the most photographed castle in the whole of Scotland. This beautiful fortress was featured in James Bond, and hosts tens of thousands of visitors each year. Craigmillar Castle nestles in the suburbs of Edinburgh, and was a frequent stopping-over place for Mary, Queen of Scots, whenever she was North of the Border. This small Scottish castle was designed for domestic life, rather than for defence, but it’s an interesting and atmospheric set of ruins for exploration. The story of Queen Mary and Craigmillar Castle. 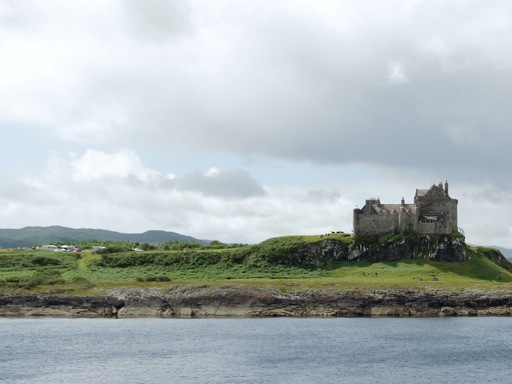 . .
Duart Castle is a lonely little stone castle, that stands guard on the choppy Sound of Mull. It’s the ancestral home to the proud Maclean clan – whose lineage stretches back hundreds of years. You might even meet the Chief of the Clan if you visit today! Discover more about Duart Castle. 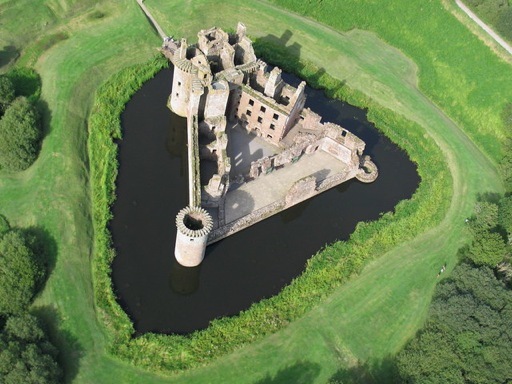 . .
One of our collection of castles needs to be seen from the air – the spellbinding Caerlaverock Castle. Imagine a castle in the shape of a triangle, with a tower at each corner, surrounded by a deep, dark moat, and you’ll have visualised this amazing construction. Caerlaverock is quite unique – there’s no other castle in the world quite like it. As a result, it makes a brilliant day out. See more pictures of incredible Caerlaverock. . . The vast majority of Scotland castles were built as a result of squirmishes over land, hence the huddles of historical sites around Galloway and the Northern Highlands. The castles within Galloway were built during conflict with the English; and those in the North were constructed where the influence of the Scottish kings waned against the fierce Norse invaders. In 1707, the Act of Union united Scotland and England, and formed Great Britain as we now know it. The ride up to 1707, however, was never a smooth one (and you could argue that it’s not now smooth sailing: modern Scottish politicians are arguing for Scotland to disentangle itself from the UK). A very typical (or some might say, stereotypical!) Scottish photograph: a bagpiper atop Craigmillar castle. Credit: Stuart Kaie, Creative Commons (CC BY 2.0). Scotland was always a fiercely independent series of territories. However, the Scotland of Medieval times looked nothing like the country we know today. The kingdom was a patchwork of power and of opposing forces, where the nobility of Scotland struggled to maintain their lands against assaults from the English, and also from the Norwegian (Norse) people who has settled on the Western Isles. It was King David I who laid the beginnings of feudalism in Scotland, and who triggered the construction of Scotland castles. David I reigned as King of the Scots from 1124-1153, and had learned a lot from the success of the Normans, who had invaded and captured England and Wales from 1066 onwards. He saw the value of building castles to maintain power over the lands he ruled. David I allowed nobles to build castles and to take power themselves over small chunks of his kingdom – as long as they would lend him men in times of war. The first Scotland castles were built under David I in the c12th, and were constructed of wood. 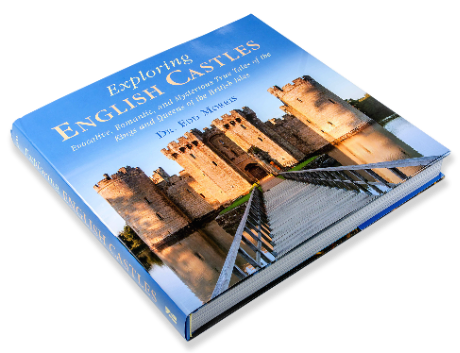 In the 13th century, as methods of working with heavy materials began to improve, stone castles began to emerge. Scotland castles were primarily used defensively – to hold power, and to protect communities against invaders. As a result, most castles were built in the areas most at risk from invasion – such as in Galloway, which marked the southern borders between England and Scotland. The greatest challenge to Scotland erupted in 1287. The fearsome Edward I of England – or the ‘hammer of the Scots’, to give him his nickname – had lead a hugely successful campaign in capturing Wales. He had built an ‘iron ring’ of Welsh castles to maintain his power over the Welsh people. In 1287, he began to plan to seize Scotland, and become King of it, too. As a result, in 1295, Edward I invaded Scotland. He was ostensibly angered by a Scottish treaty with the French, and so slaughtered thousands at Berwick, confiscated the jewels of Scotland, and assumed power. However, he hadn’t counted on Scottish rebellions. William Wallace and, in 1306, Robert the Bruce, challenged Edward’s rule with quite unexpected vigour. Culzean Castle. Rather than being a defensive stronghold, this was an elaborate family home built in the 1600s – when castles were becoming to be rather romanticised. Credit: John, Creative Commons (CC BY-SA 2.0). Edward I’s defeat was partially due to his own greed. After spending so much money on his ring of castles in Wales, Edward I didn’t have the funds to build any more Scotland castles. As a result – and as a result of being too cocky about the skills of Robert the Bruce – he didn’t hold power of the country for long. He died in 1307, and his dying wish was not to be buried until Scotland was captured – unfortunately for him, it was never to be. Discover a tremendous selection of Scotland castle. Uncover the mysteries of highland fortresses and Scottish castles, with photos, stories, and secrets.